Walkable neighborhoods are a hot commodity in the real estate world these days. As we reported, Millennials have been especially fond of taking up residence in dense, walkable cities close to their workplace. 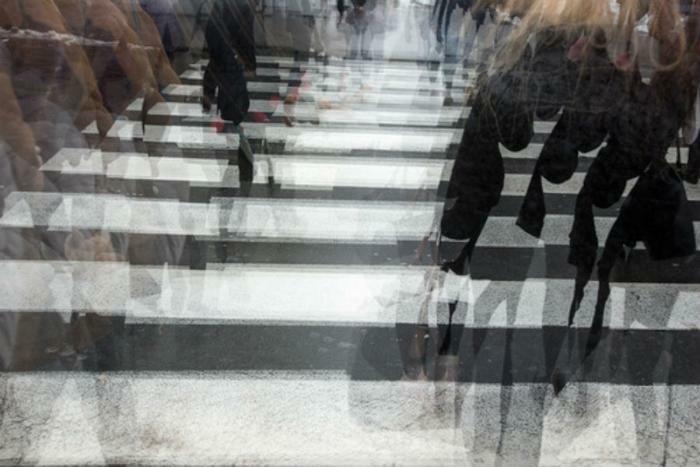 While this trend may have a positive impact on overall physical health, it has led to an increase in concern for pedestrian safety. Pedestrian deaths are up 15% since 2009, according to a report -- and that's largely amongst sober pedestrians. Drunk walking, as it turns out, may be just as deadly as drunk driving. Using data from the U.S. Department of Transportation’s Fatality Analysis Reporting System (FARS), the team at Alcoholic.org compared the dangers of driving and walking while inebriated. While FARS data indicates that drunk drivers are, understandably, killed at a much higher rate, the story changes when looking at what percentage of the two groups (pedestrian and driver) were drunk when they died. Lighting conditions could play a major role in these statistics; darkness was shown to be even more dangerous to pedestrians than to drivers. The report illustrates that pedestrians see the highest rates of fatal injuries after September, in the darker winter months. Because police reports specifically record environmental conditions, FARS data allowed the team to examine lighting conditions in more detail. Darkness was related to the deaths of 92.8% of drunk pedestrians. Another possible explanation is that pedestrians are more exposed than drivers in cars, and therefore suffer major injuries that are harder to survive. A similar trend is noticeable between genders: Men tend to experience more severe crashes than women, but women are more likely to die in crashes that are of equal severity. The team’s research shows that an almost identical percentage of traffic deaths occur amongst drunk drivers and drunk pedestrians each day of the week, with a huge spike on Saturday. Iowa and Alaska led the nation with the highest drunk pedestrian fatality rates. One in three pedestrians killed nationally were drunk. Statistics like this are an important reminder to be safe when you are drinking, even when walking home.